Whether you have an overgrown tree whose roots and limbs have taken over, or a damaged or dead tree from a storm, it is time to call in the tree service experts for a tree removal. Before you call a company and allow them to start working on a large and heavy tree on your property and most likely near your house, be sure to do your research. 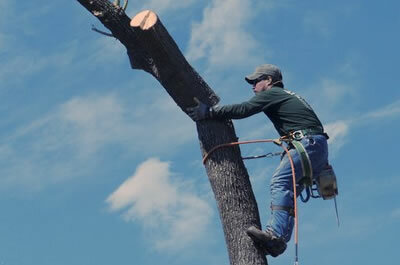 No matter which company your are considering hiring for your tree service, be sure to check on their insurance and credentials before agreeing to use them for your tree service in Houston, TX. A great way to pick an affordable and reputable tree service company is to ask friends and neighbors who they have used in the Houston, TX area in the past. There is no better way to find out the reputation of a company than by asking people who you know and trust if they would recommend them. You’ll likely find that JRP Services is at the top of their list! If a company has employees that aren’t well trained, they can cause a lot of damage. Check the company’s credentials to make sure that they are licensed. It is also a good idea to look into their insurance coverage to make sure that carry a hefty liability policy, so that your property is covered if a mistake is made. It is also important to look at the company’s workers compensation policy to make sure that the company’s employees are covered financially if they were to get injured while working on your property.